Edgar Krása, one of the survivors of the Nazis concentration camps, died in February 2017. As he had mentioned in one of the interviews, “It won’t be long before there won’t be anybody left who can tell this.” That’s why he dedicated the last years of his life to traveling and talking about his experiences from the WW2. And he was right, less and less people it is who remember those horrors. And they won’t be there to speak of them forever. So, it is only up to us to carry their stories to future generations. 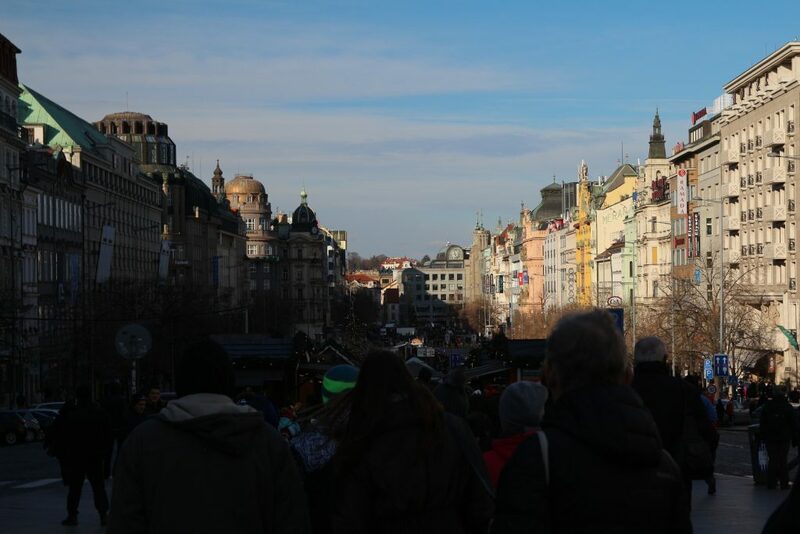 To know some of these stories, you just need to walk a bit through the streets of Prague. 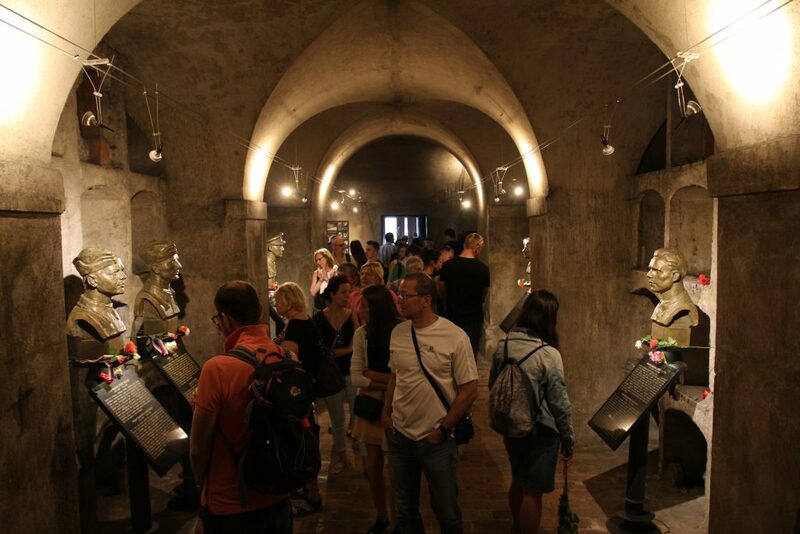 Many tourists wonder how Prague could survive the war without any significant damage. Not that much true though, but comparing to other cities in Europe, Prague was one of the lucky ones. In this post you’re going to see only the most important buildings connected with the Nazi occupation. There are more of them throughout the city, of course. Furthermore, I am not mentioning the Jewish Quarter, which is a special chapter and is a must visit when talking about the war times. We all know about the terrible bombing of Dresden in February 13-14th 1945. But did you know that because of a navigation error, several planes of US Army Air Force managed to get to Prague? 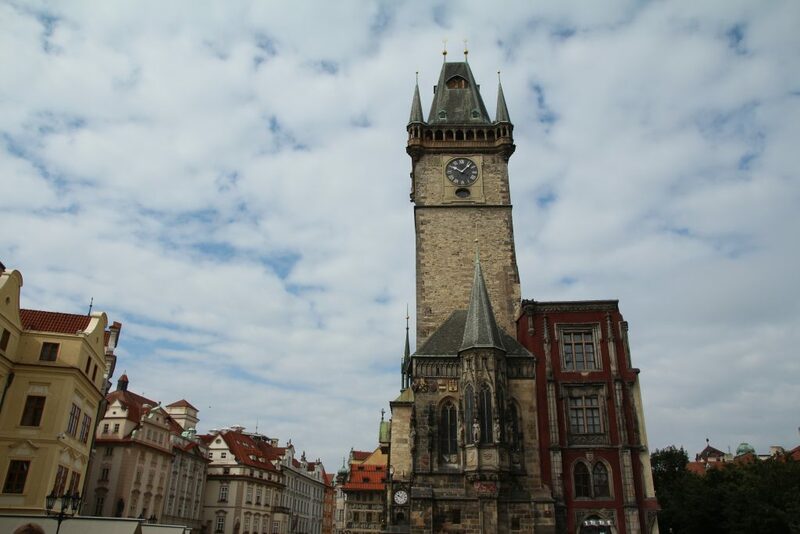 They dropped about 152 tons of bombs onto the city of Prague, 700 people died and about one hundred historical sights and building were destroyed. One of them was the 14th century Emmaus Monastery, where you can today admire a new roof with two towers that was added in 1960s. Even though the big part of the church was damaged, its gothic features survived. 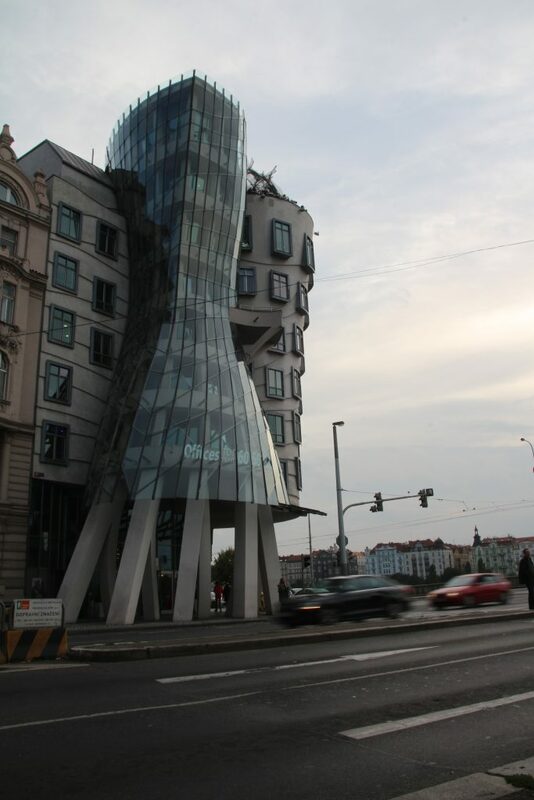 Another witness of the bombing is the Dancing House – designed by Vlado Milunic and Frank Gehry in 90s. The original house that used to stand there was also destroyed during the bombing. On 15 March 1945 Hitler entered Prague and proclaimed the country the german Protectorate of Bohemia and Moravia. Hitler spent several hours here, always wished to return back. The honour guard formed on the first courtyard of Prague Castle and then Hitler took the famous picture overlooking the city from the window of the palace. This photo even became the official post stamp. Just around the corner from the Wenceslas square stands the monumental building of Petschek Palace. It was build shortly before the WW2 for the merchant banker Julius Petchek, with all the modern gadgets such as tube post or paternoster lift. 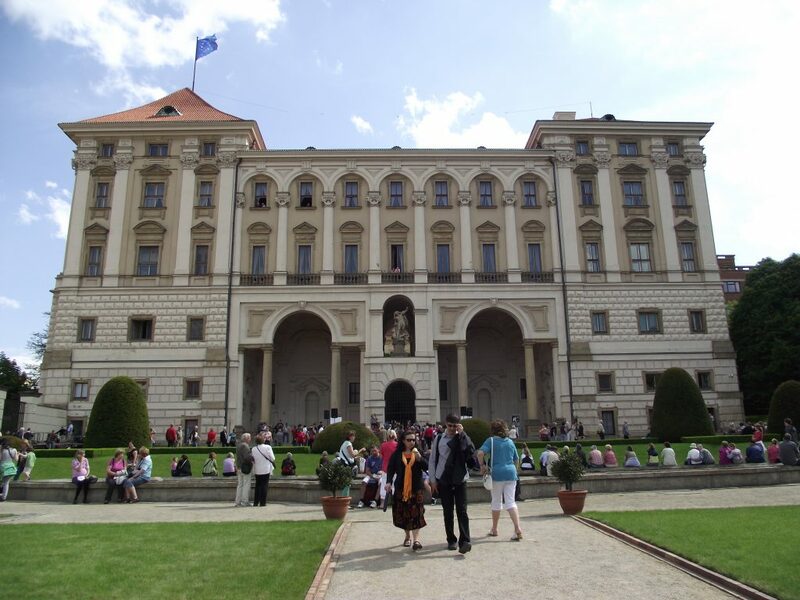 During the Nazi occupation the Palace became the Gestapo headquarters. 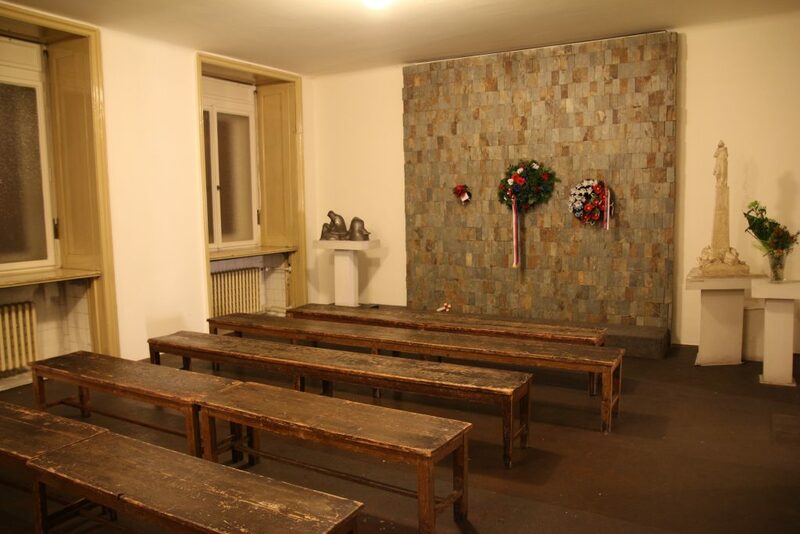 The horrific tortures and interrogations took place in its basement, and there is a small exhibition about what happened in the rooms nowadays. 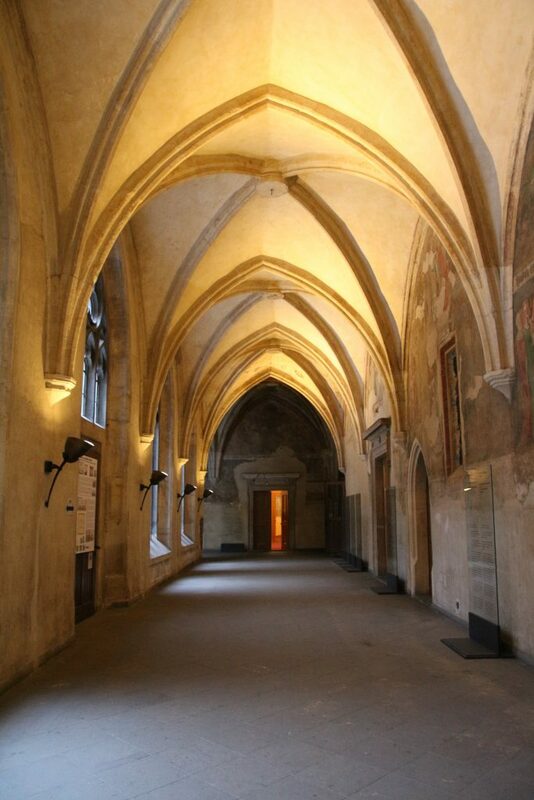 Not very far from the Jewish quarter, walking towards the river, you will find a building with triangle roof that belongs to the Law Faculty of Charles University. During the WW2 it was actually used as a seat of the SS with the nearby hospital Na Františku serving as a military hospital for the pilots of Luftwaffe. The Butcher of Prague or The Blond beast are two (of many more) nicknames of Reinhard Heydrich, the new governor of Czech lands. 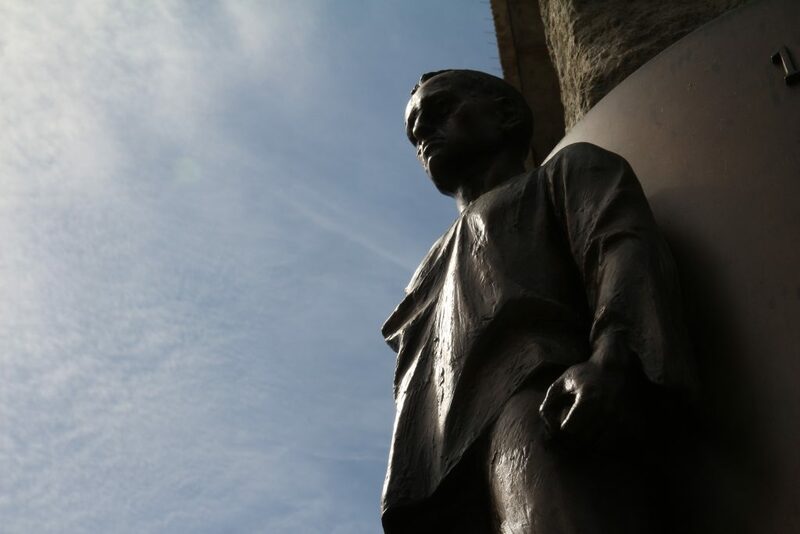 He arrived to Prague in 1941 and immediately started persecutions of Czech political and intellectual personalities. He also gave orders to establish a ghetto and to start with the Jewish transports. He eventually paid for all what he did to Czechs in 1942 when two Czechoslovakian paratroopers from the resistance tried assassinate him. To know how it all happened you have to visit the church of St. Cyril and St. Methodius in New Town district. There is not only very interesting exhibition with many historical photographs, but still visible traces of the Nazi hunt. 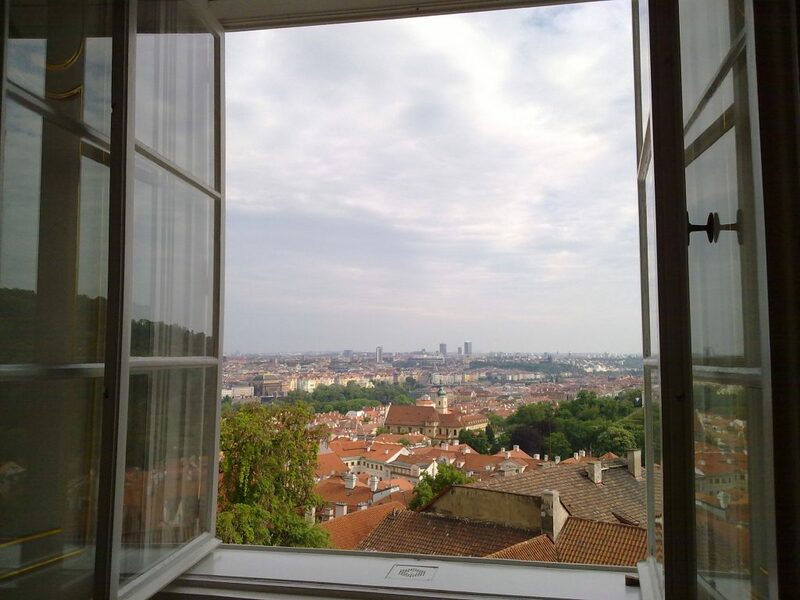 The offices of Heydrich were situated in the Černín Palace, just above the Prague Castle complex. For some time Heydrich also did live here, but he later moved out of Prague to Panenské Břežany where he found a nice chateau for his family. The Černín Palace is the office of the minister of Foreign Affairs today. The effort to liberate the city of Prague from German occupation in May 1945 is called the Prague Uprising. It all began on May 5th and lasted for three long days. About 30 thousands Czechs decided to fight with the Nazi army of 40 thousand. At the end, the Russian army marched into the city which meant the end of the war was getting close. Many historical buildings in the city centre were lost, and many of them on the Wenceslas Square for example. Czech casualties counted to almost 1700. Old Town Square wasn’t spared either. We all are familiar the iconic view of the Town Hall, but not that many people realize that almost half of it is missing, actually burned down on May 7th, 1945. Unfortunately, there’s so much left to say, but that would only make the article not bearable for reading. 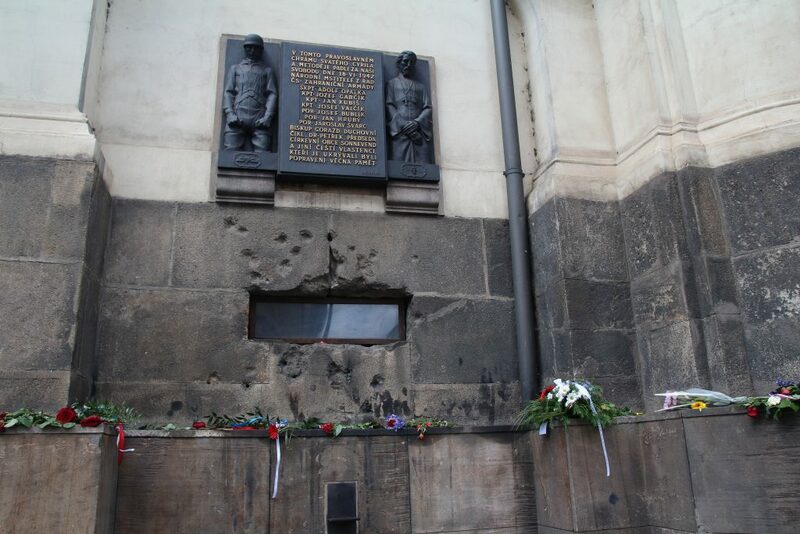 To find out more about WW2 in Prague, you’re welcome join me on my Prague WWII tour.